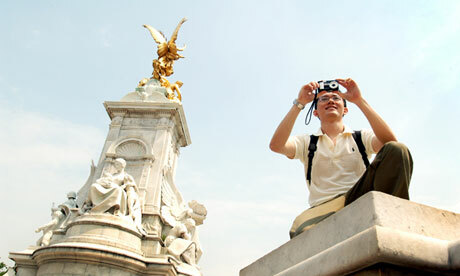 Britain wants more Chinese tourists, as they are high spenders. However, it may be that getting a visa to the UK is more difficult and more expensive than a visa for Europe (one for the whole EU zone) and so they go there instead of getting a second visa, for the UK. Although the figures are disputed, at least 25-50% (or more) more Chinese tourists are believed to visit France than Britain. A UK visitor visa requires lengthy forms with original supporting documents and costs £78, compared with the €60 (£47.60) that buys access to the whole European Schengen zone. The UK visa also requires biometric data, which involves applications in person, although Europe will follow suit next year. IAG has joined in the complaints about the UK visa system, saying it is bad for business and deters Chinese businessmen. Much of the power lies in the hands of Chinese travel agents and middlemen who arrange visits abroad and have considerable influence on visa applications. So the lack of Chinese tourists is nothing to do with needing more runways, or needing to cut APD. More to do with the visa process. The Chinese may be coming, but it’s a moot point as to whether they’ll be coming to Britain. Hence the culture secretary’s Jeremy Hunt’s efforts this week to reassure Britain’s frustrated tourism and aviation leaders who have long urged the government to simplify the costly visa regime that deters these potential visitors. Although the figures are disputed, about 25-50% more Chinese tourists are believed to visit France than Britain; some indicators suggest there are up to eight times as many visits. A UK visitor visa requires lengthy forms with original supporting documents and costs £78, compared with the €60 (£47.60) that buys access to the whole European Schengen zone. The UK visa also requires biometric data, which involves applications in person, although Europe will follow suit next year. Hunt’s latest promise to the tourism industry that he would work hard to boost the Chinese market was marred by news that the home secretary, Theresa May, strongly opposed any relaxation of the rules. One airline director said that the Home Office still views China as more a source of asylum seekers and economic migrants than consumers. Companies are also concerned about the Chinese business visitor market, with potential trading partners facing difficulties in securing UK visas. Adam Marshall, of the British Chambers of Commerce, said: “China is a fast-growing trading partner for Britain, so we need to do our utmost to welcome both tourists and business visitors from the world’s largest country. Unfortunately, businesses trading with Chinese firms report that the process of securing UK visas is both expensive and cumbersome. “If individual tourists and Chinese companies can secure more flexible Schengen visas at a lower cost, the sad reality is that many companies here in Britain could lose substantial business. Willie Walsh, the boss of International Airlines Group, parent company of British Airways, has been vocal in his condemnation of the regime as bad for business, after being told repeatedly on a trade mission to China by businessmen how hard it was to get a visa. An IAG spokeswoman said: “The Olympics should give us a huge boost. But are we going to squander that springboard for growth and jobs? Chinese tourists are shunning the UK. Patricia Taylor, director of strategy at VisitBritain, the national tourism agency, said: “Because we’re an island we have to work even harder. With Schengen you get 25 countries on one visa, and most Chinese tourists want to do a tour of Europe. We want to balance the economic growth opportunities with the obvious desire to keep our borders safe.” VisitBritain and others have proposed shorter, guaranteed times for visa processing, allowing applications in Mandarin, creating more centres in China where people can apply in person, and lowering the barriers for those who already possess a Schengen visa. Hunt said he would be “looking at improvements to the visa system”. According to the UN World Tourism Organisation’s latest annual figures, 109,000 Chinese tourists visited Britain in 2010, a figure dwarfed by the 907,000 visiting France and 511,000 going to Germany. 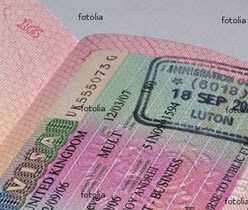 However, these figures have been called into question by Sebastian Wood, Britain’s ambassador to China, who wrote to the home secretary in May complaining: “It is hard to frame debate when there are so many competing sets of statistics in circulation.” He said that numbers of visitor visas issued by Schengen countries in 2010 totalled 609,000, 159,000 from France, compared with 151,000 from the UK – a figure rising to 193,000 in 2011. Britain needs China’s tourists – why isn’t it getting them? Chinese tourists are much in demand these days – not least among Britain’s government. The reasons for this are obvious: Chinese visitors tend to spend on average three times more than other overseas visitors, yet at the moment France receives 25-30% more visitors than Britain. This is why a division appears to be emerging within the government, with culture secretary Jeremy Hunt trying to make it easier for Chinese tourists to obtain visas, while home secretary Theresa May has been blocking such changes. In principle, Britain should be a major destination for Chinese tourists. Britain has an unparalleled reputation for goods that are considered to be much higher quality than those made in China, and often cheaper. British brands such as Burberry and Clarks shoes are notoriously famous in China for their style and craftsmanship.. The UK is high up in the list of places that the Chinese want to visit; lagging behind the US, the dreamland of opportunities, but often ahead of the rest of Europe. There is a sense of mystery about the UK: it’s often the images of England’s green parks, countryside and Victorian houses that people point to as an alternative to polluted, overcrowded cities such as Beijing and Guangzhou. The capital is viewed as modern and dynamic, while being ingrained with history. When asked what other images are conjured up by the UK, the reply is often “the Queen, tea and Oxbridge”. This strong cultural identity is something the Chinese admire, particularly after much of its own was destroyed during the shambolic Cultural Revolution of the 1960s. So what’s stopping them actually coming? Sebastian Wood, the British ambassador in Beijing, has described the UK as a “fortress”, and while this is perhaps an exaggeration, Britain does have a reputation as a country that is harder to access. The main problem for Chinese tourists is a matter of logistics – the UK is not included in the Schengen visa, which allows access to a host of European countries such as France and Germany. What this means is that an entirely separate process is required to gain entry into the UK. Although an overhaul earlier this year means that visa applications are now completed online, visitors are still required to visit one of 12 UK centres across the country for a face-to-face interview and fingerprinting. If you don’t live near one of these centres already, you’d have to travel some distance to get there. Another problem is that Chinese people want to visit more than one country if they are going to make it all the way out to Europe – travel abroad for leisure is still a relatively new concept, so many want to cover as much ground as possible. Going to the extra trouble of seeing a country the size of a large province in China (of which there are 33), when the Schengen visa will get you into 26 countries, makes the former seem a less worth it. There is also the issue of cost: £47 for a Schengen visa, £82 for the UK. On top of this, the UK is viewed as stricter in its handling of visas compared with the rest of Europe, fed by urban legends of rejected applications. In the end, the decision comes down to one question: is Britain worth the hassle? What can the government do about this? Yes, make the application process more user-friend, less costly and soften border barriers without breaching national security – after all, there are a lot of people in China, most not looking to contribute to the UK’s GDP. But what the UK government should realise also is that much of the power lies in the hands of Chinese travel agents and middlemen who arrange visits abroad and have considerable influence on visas applications. It needs to think seriously about this lot before implementing any wild ideas for getting the Chinese over to part with their money. The British are sometimes seen as conservative and more rain-stricken than its American or Australian counterparts, but that’s easily solved: surprisingly perhaps, the Chinese love the British royal family. For many in China, the royals are a reminder of their own imperial rule that collapsed at the beginning of the 20th century: both curiosity and envy play a role. So just get Will and Kate on a plane to Beijing to shake a few Chinese hands. Oh, and inviting the Dalai Lama over for tea at No 10 on a near annual basis is probably not the best way to bring in this patriotic bunch. But I guess that’s what makes the British British. Nearly 10 million more tourists should be visiting the UK from overseas by the end of this decade under plans to capitalise on the Olympic Games announced by Jeremy Hunt. The culture secretary used what was billed as a keynote speech on tourism to announce record-breaking figures for visits to the UK and spending by tourists this year. He said reports from hotels, well known shopping areas, theatres and the credit card company Visa all showed increased business during the Games. To ensure the interest stimulated by the Olympics and associated events, such as the torch relay and the Cultural Olympiad, continued, Hunt announced another £10m funding for tourism campaigns in the UK and China. He said he had asked for a feasibility study into the idea of a biennale arts festival for London or the UK, similar to the famous event in Venice every two years. The target was to increase overseas visitors from just over 30m a year to 40m a year by 2020, Hunt told an audience at the Tate Modern gallery in London. “The Olympics should be for Britain what Usain Bolt is for athletics – something that grabs the attention of the whole world and refuses to let it go,” he said. Of the £10m announced, £2m was for the Holiday at Home campaign aimed at encouraging people to make more trips and holidays in the UK. The remaining £8m would be targeted at the Chinese market, where the UK ranks low compared with other European countries for visits, and where the ranks of the middle class, who could potentially afford such a holiday, are booming, Hunt said. “Through this new campaign, I want us to treble the number of Chinese visitors we attract, getting to 500,000 by 2015.” He said meeting that target would create 14,000 jobs and generate more than £500m a year in extra visitor spending. The relatively modest sums follow £1bn of government money pledged to support the “Great” tourist advertising and marketing campaign at ahead of the Olympics. The culture secretary could not help indulging in some light-hearted rivalry with one of the more successful tourist destinations: Hunt said his favourite stunt pulled off by the “Great” campaign was a billboard outside the Louvre museum in Paris boasting that, unlike the home of Leonardo da Vinci’s Mona Lisa painting, the British Museum was free to enter. Posted: Saturday, August 18th, 2012. Filed in General News, Recent News.